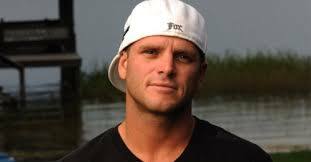 Emereau:Bladen was filled with the sounds of laughter, conversation and families wandering the hallways looking for their child’s classroom. 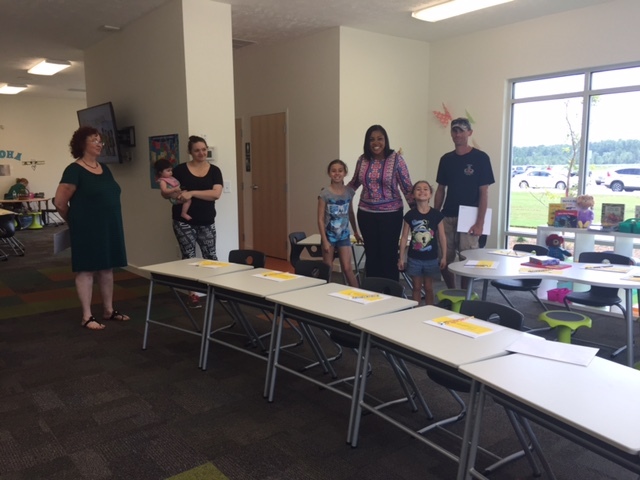 Parents met with teachers, examined classroom materials, and learned about expectations for the upcoming academic year. 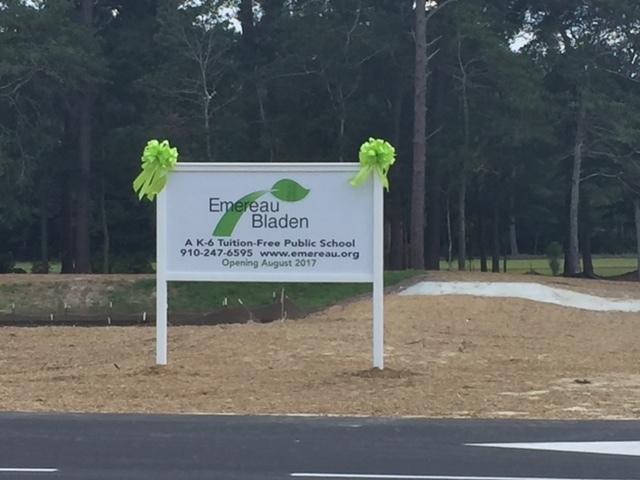 Emereau:Bladen held an open house and ribbon cutting at the school on Thursday. 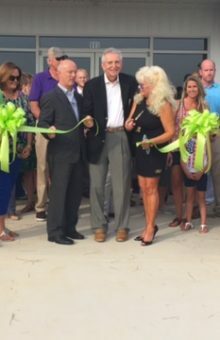 The school officially opens on Tuesday, August 1. 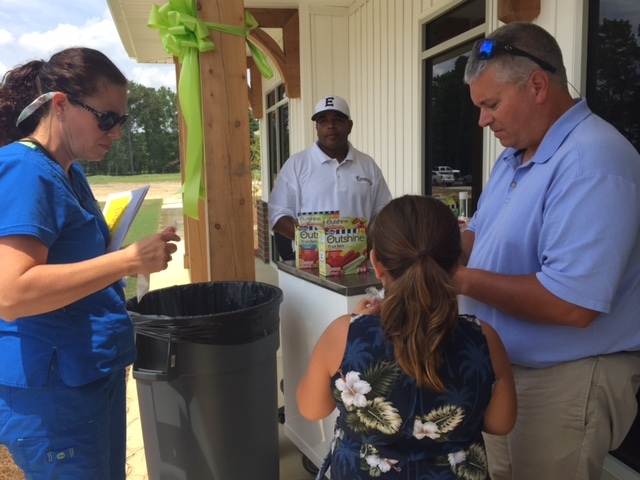 Kate Alice Dunaway said people were lined up at the school’s door beginning at 1 p.m. and the school had a steady stream of visitors throughout the day. 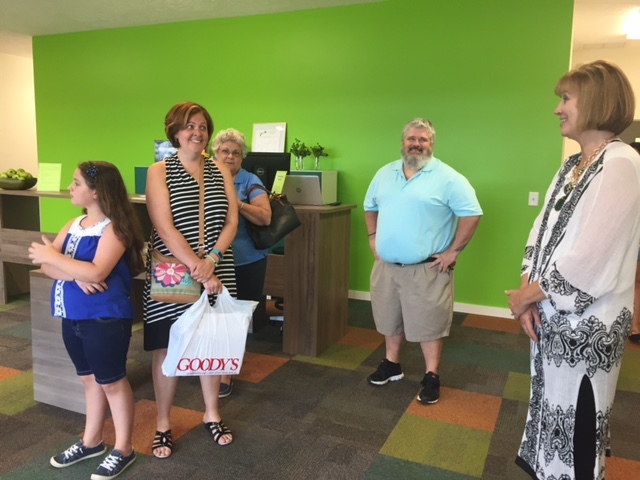 Some of the visitors were families of students who will be attending the school and other visitors included elected officials, business leaders and members of the community. Dunaway said the school is fully staffed. 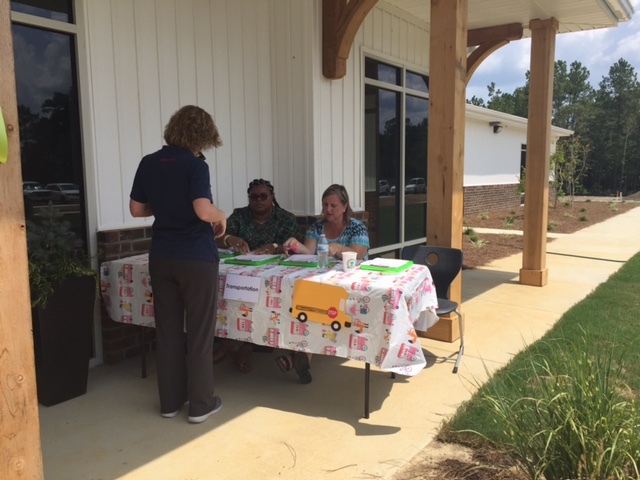 On Thursday, bus drivers for the school were making sure the knew their routes in preparation or the first day of school on Tuesday. The installation of the school’s playground equipment is expected to be completed next week. Dunaway said currently there are 355 names on the school’s online list. Of those, almost 300 students have completed their enrollment packets. She said the school is approved for 308 students. Teachers Polly Hancock and Kellye Fell were busy putting the finishing touches on their classrooms. 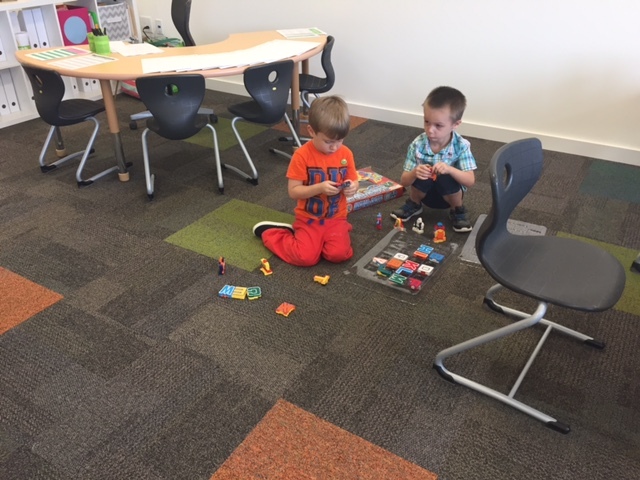 Both teachers say they are exited about the school and the new academic year. 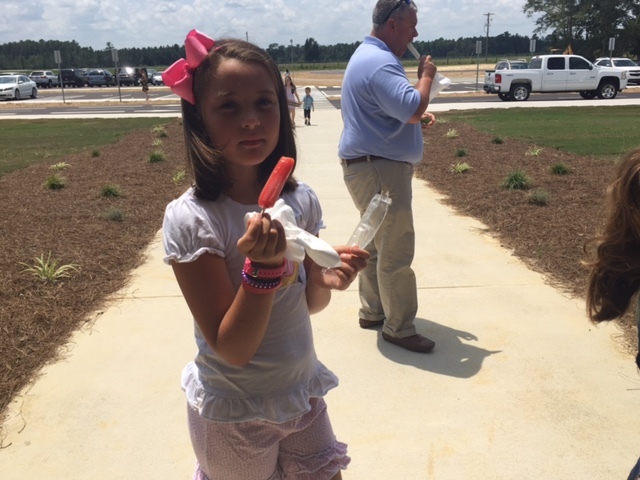 As parents and onlookers toured the school, they were treated to popsicles. 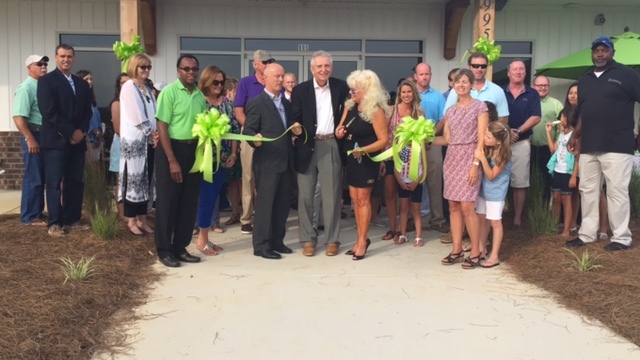 The well attended event came to a close with a ribbon cutting signifying the opening of the school.